Discussion in 'General News' started by Ridemonkey.com, Jun 26, 2012. Cannondale recently brought a group of mountain bike journalists to Deer Valley, Utah, to launch a new bike, as well as go over its changes, to the &#8220;OverMountain&#8221; line. This new bike is the Trigger, a 120-millimeter (adjustable down to 70 millimeters) trail bike to fill the short-travel gap that was in the Cannondale OverMountain line. I spent a day riding the riding the top-end (for the United States) Trigger 1 on the buff trails surrounding the Deer Valley Resort. It seems Cannondale chose the launch location well, as fast flowing trails with small jumps, dips and rollers, like those surrounding Deer Valley, Utah, are where the Trigger is best in its element. The bike is light and nimble making it a riot to pump through dips, rail corners and double up trail features. It seemed the more aggressively I rode the bike, the better it reacted. Read Ryan's full impression of the Trigger 1 here on Bikemag, as well as some specs on the upcoming Trigger 29er. sweet another advertisement where the product is reportedly perfect. Bike used to be pretty good about being unbiased, especially compared to MBA or Mountain Bike. I guess those sweet sweet advertising dollars are hard to argue with. The new trigger looks cool, but I have some questions. How much does the shock weigh compared to a normal fox Float? How does this bike ride so much better than others, when it's a simple single pivot located just south of the big ring? It's not a bad pivot location, but let's be honest, it's nothing extraordinary. Finally, how does the new lefty ride? Early reports suggest there's more stiction that previous years, or at least the fork feels "stiffer". Combining cannondale's "reach for the moon" methodology with Rockshox's "Cheaper to replace than to build right" damper technology seems like a recipe for giant failure. I'm not buying the hype until at least a year after it's released and rockshox revamps their damper twice and Cannondale fixes the teething issues that the lefty will have. 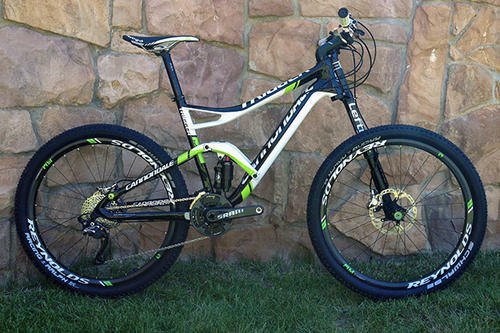 I'm not too concerned about the shock weight since the 2011 Jekyll Ultimate weighs 24lbs with a dropper. I think the ride characteristics are not just just because it has a great shock but also a super stiff chassis. I just read a review of the Jekyll where they said that the the bike has become a test rig for wheels and tires because the frame is so stiff that any shortcomings in the wheels and tires are easy to recognize. People get so hung up on how many pivots a bike has like that somehow makes it better. Guess what, more pivots = more flex and maintenance. As far as Rock Shox vs Fox, I've been mtn biking for over 20 years. I've only owned three mtn bikes but I've demoed and rented many bikes. From my experiences RS has been better than Fox even though I wanted to like Fox better. I was so impressed that last year I got a RS Monarch from Push and it has been fantastic. Even in stock form it compares favorably to Fox at a much lower price point. As for the Lefty I've heard that it is set up firmer this year but is expected to break in (without getting loose due to the needle bearings) after a short while. What I'm excited for is a 100/160 Jekyll instead of the current 90/150 (in a recent vid a tester said he was on a 160 Jekyll. He might have misspoke tho. See below.) with a 160 Lefty that is also hooked up to the switch. But I'd also be interested in a lightweight carbon Claymore or a Jekyll with the Claymore shock/geo.